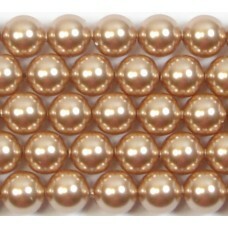 Swarovski pearls are the perfect imitation of genuine pearls. 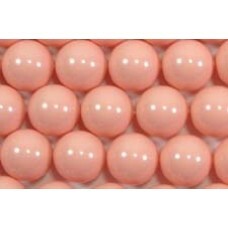 They have a crystal core with innovative pearl coating to simulate the look and feel of the real article. 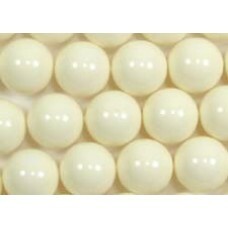 The pearls have a similar weight and lustre in a perfect shape only available in the very best natural pearls. 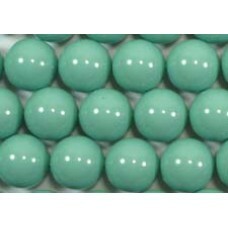 They are resistant to rubbing, perfume, sweat and UV light. 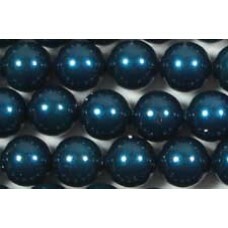 10 Swarovski Crystal Scarabaeus 12mm Pearls This shape is Swarovski Article 5810. Swarovski is syn..
1 strand approx. 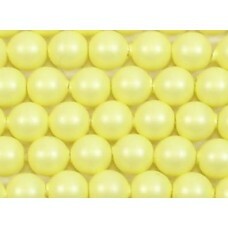 100 Swarovski 4mm Crystal Pastel Yellow Pearls strung on a generous length of coord..
1 strand approx. 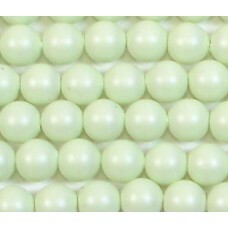 100 Swarovski 4mm Crystal Pastel Green Pearls strung on a generous length of coordi..
Strand Swarovski 6mm Crystal Rose Gold Pearls strung on a generous length of coordinating colour sil..
1 strand approx. 100 Swarovski 4mm Crystal Rose Gold Pearls strung on a generous length of coordinat..
Strand 200 Swarovski Crystal Burgundy 3mm Pearls strung on a generous length of coordinating colour ..
Strand 200 Swarovski Crystal Dark Green 3mm Pearls strung on a generous length of coordinating colou..
Strand of 100 Swarovski Crystal Creamrose Light 4mm Pearls strung on a generous length of coordinati..
Strand of 100 Swarovski Crystal TahitianLook 6mm Pearls strung on a generous length of coordinating ..
Strand 50 Swarovski Crystal Dark Green 8mm Pearls strung on a generous length of coordinating colour..
Strand of 100 Swarovski Crystal Powder Almond 4mm Pearls strung on a generous length of coordinating..
Strand of 100 Swarovski Crystal Antique Brass 6mm Pearls strung on a generous length of coordinating..
10 Swarovski Crystal Mauve 12mm Pearls This shape is Swarovski Article 5810. Swarovski is synonymo..
Strand of 100 Swarovski Crystal Cream 4mm Pearls strung on a generous length of coordinating colour ..
Strand of 100 Swarovski Crystal Light Blue 6mm Pearls strung on a generous length of coordinating co..
1 strand approx 100 Swarovski 6mm Crystal Lavender Pearls Swarovskis New Colour for Spring/ Summer..
Strand of 100 Swarovski Crystal Peach 4mm Pearls strung on a generous length of coordinating colour ..
Strand of 100 Swarovski Crystal Maroon 6mm Pearls strung on a generous length of coordinating colour..
1 strand Swarovski 4mm Crystal Vintage Gold Pearls Swarovskis New Colour for Spring 2011.This shape..
Strand of 100 Swarovski Crystal White 4mm Pearls strung on a generous length of coordinating colour ..
Strand of 100 Swarovski Crystal Night Blue 6mm Pearls strung on a generous length of coordinating co..
Strand of 200 Swarovski Crystal Rosaline 3mm Pearls strung on a generous length of coordinating colo..
10 Swarovski Crystal Ivory 12mm Pearls This shape is Swarovski Article 5810. Swarovski is synonymo..
Strand of 100 Swarovski Crystal Bronze 4mm Pearls strung on a generous length of coordinating colour..
Strand of 100 Swarovski Crystal Mystic Black 6mm Pearls strung on a generous length of coordinating ..
10 Swarovski Crystal Bronze 12mm Pearls This shape is Swarovski Article 5810. Swarovski is synonym..
Strand of 100 Swarovski Crystal Dark Purple 6mm Pearls strung on a generous length of coordinating c..
1 strand approx 100 Swarovski 6mm Crystal Coral Pearls This shape is Swarovski Article 5810. 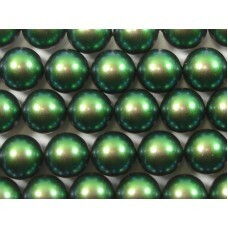 Swaro..
10 Swarovski Crystal Jade 12mm Pearls This shape is Swarovski Article 5810. Swarovski is synonymou..
Strand of 100 Swarovski Crystal Brown 4mm Pearls strung on a generous length of coordinating colour ..
Strand of 100 Swarovski Crystal Black 6mm Pearls strung on a generous length of coordinating colour ..
10 Swarovski Crystal Dark Grey 12mm Pearls This shape is Swarovski Article 5810. 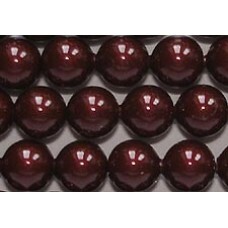 Swarovski is syno..
Strand of 100 Swarovski Crystal Burgundy 6mm Pearls strung on a generous length of coordinating colo..
10 Swarovski Crystal Night Blue 12mm PearlsThis shape is Swarovski Article 5810. 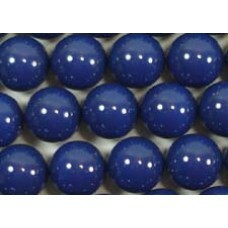 Swarovski is synon..
10 Swarovski Crystal Dark Lapis 12mm Pearls This shape is Swarovski Article 5810. Swarovski is syn..
Strand of 100 Swarovski Crystal Bright Gold 6mm Pearls strung on a generous length of coordinating c..
Strand of 100 Swarovski Crystal Dark Grey 6mm Pearls strung on a generous length of coordinating col..
10 Swarovski Crystal Lavender 12mm Pearls This shape is Swarovski Article 5810. Swarovski is synon..
Strand of 100 Swarovski Crystal Mauve 6mm Pearls strung on a generous length of coordinating colour ..
1 strand approx 100 Swarovski 6mm Crystal Platinum Pearls Swarovskis New Colour for Spring 09 this..
10 Swarovski Crystal Pink Coral 12mm Pearls This shape is Swarovski Article 5810. Swarovski is syn..
Strand of 100 Swarovski Crystal Gold 6mm Pearls strung on a generous length of coordinating colour s..
Strand of 100 Swarovski Crystal Light Grey 6mm Pearls strung on a generous length of coordinating co..
10 Swarovski Crystal Cream 12mm PearlsThis shape is Swarovski Article 5810. Swarovski is synonymous..
Strand of 100 Swarovski Crystal Powder Rose 6mm Pearls strung on a generous length of coordinating c..
1 strand approx. 100 Swarovski 4mm Crystal Bordeaux Pearls Swarovskis New Colour for Autumn/Winter ..
1 strand approx 100 Swarovski 6mm Crystal Petrol Pearls Swarovskis New Colour for Autumn 2011.This..
Strand of 100 Swarovski Crystal Creamrose 6mm Pearls strung on a generous length of coordinating col..
Strand of 100 Swarovski Crystal Dark Green 4mm Pearls strung on a generous length of coordinating co..
1 strand approx. 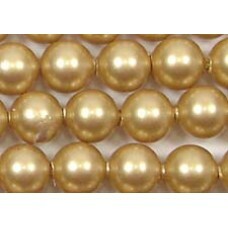 100 Swarovski 4mm Crystal Light Gold Pearls Swarovskis New Colour for Autumn 2010. ..